I am beginning my second week of Summer break and I have been doing all those things that I put off during the school year .... things like cleaning closets, purging clothes I do not need, cleaning closets, organizing the garage, cleaning closets and cleaning closets....... yes, most of my time has been taken up with cleaning closets! I am an "out of sight, out of mind" person during the school year..... yep...... It takes me FOREVER to go through all the stuff that I STUFFED in my closets.... It is my goal this summer to make sure that this does not happen this school year...... we shall see......... My plan is to do all these household tasks in June, then work on my TPT store in July, and then gear up in August for school. 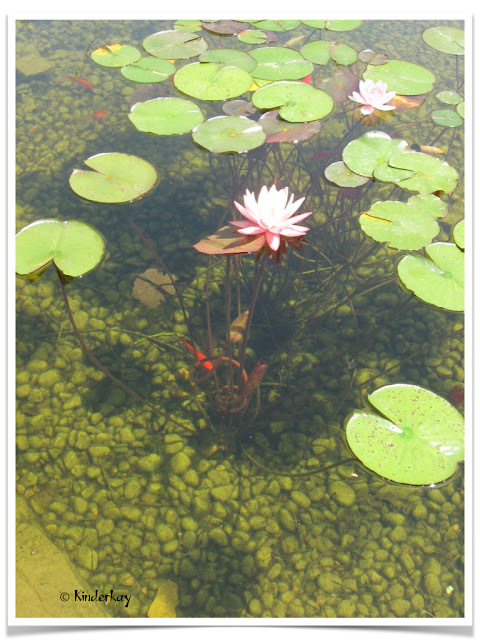 In between those things, though, I have been enjoying having NO schedule! 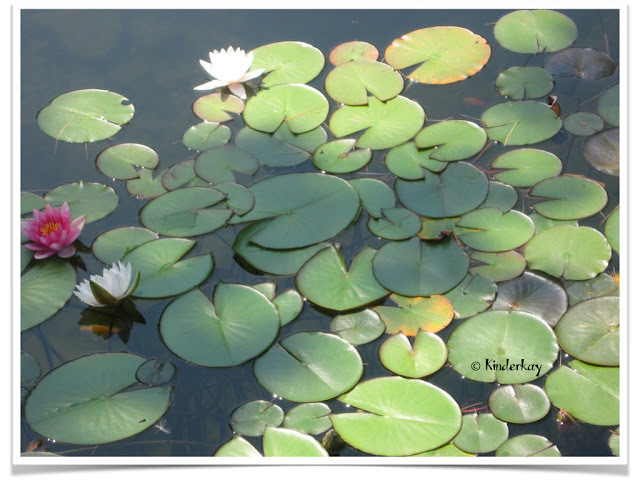 I also am looking forward to spending some family time in Michigan and soaking up the lake, sun and beach. And speaking of the beach.... 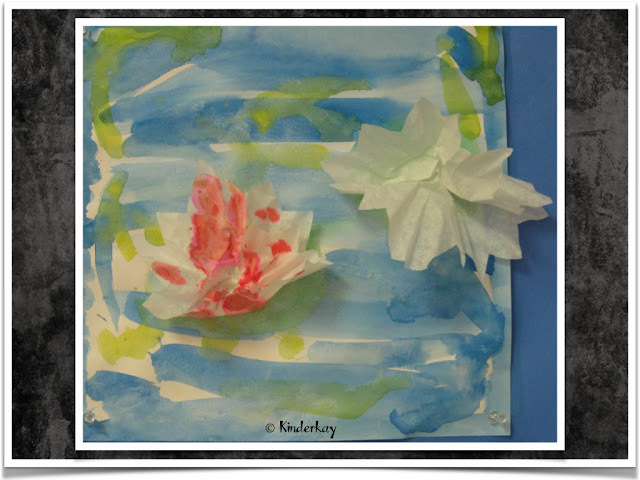 I thought I would share with you a few activities that I did with my students during our Ocean/Water theme. 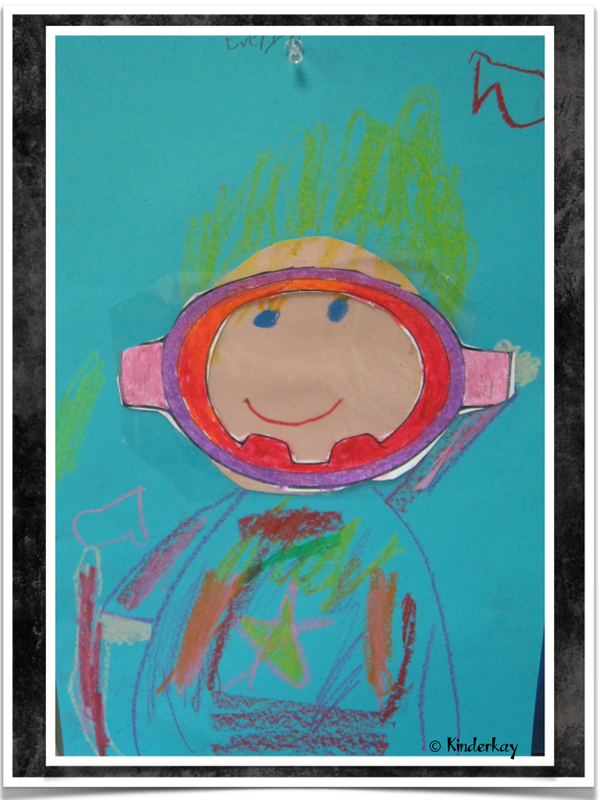 I got this cute scuba diver project from my kindergarten partner across the hall. 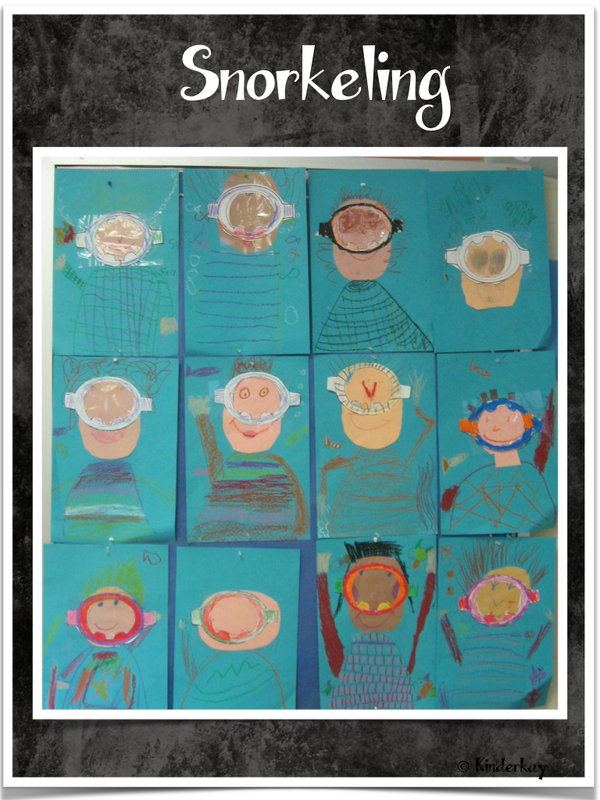 My kids had such a great time creating these cute divers. We discussed the differences between scuba diving and snorkeling. 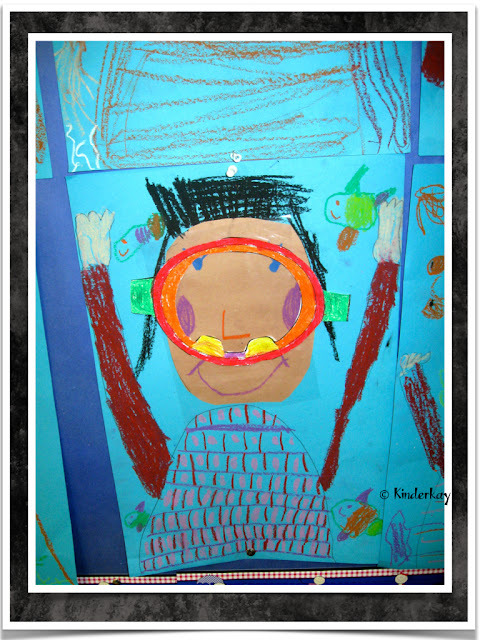 We discussed how our hair goes up when we are in the water.... If you look closely, you can see that they listened to me; hair is going up! (so cute). 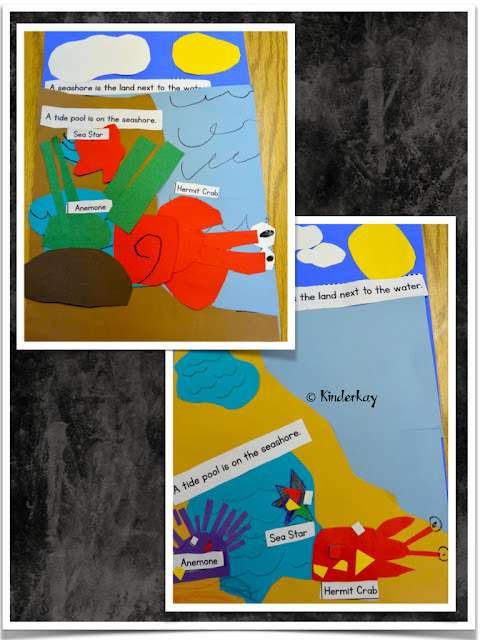 There is a writing component included with this project, but I did not take pictures of it. Basically, this was one of those "let's have fun" type of projects that teaches without too much stress! After discussing the watery look of the pond and the flowers attached to the stems my students took watercolors and painted a water background. Then they used their watercolors to paint a coffee filter flower. 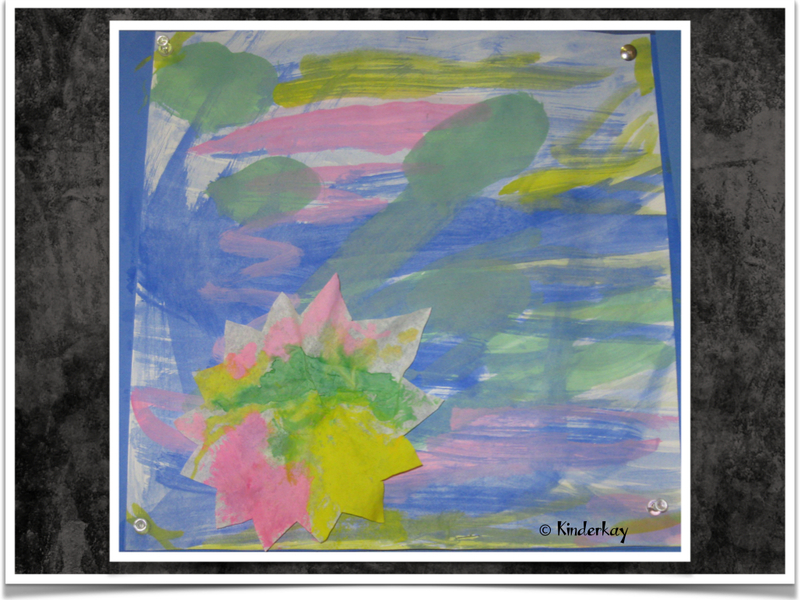 They put glue on the paper and attached their flower. These turned out so pretty! 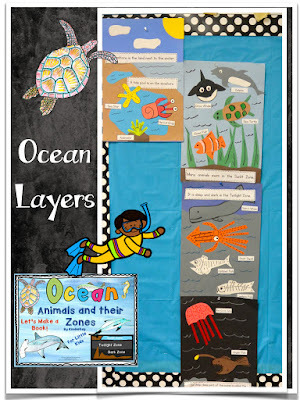 We studied 3 Ocean layers; Sunlight Zone, Twilight Zone, and the Dark Zone. 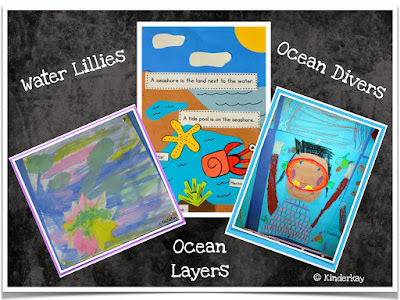 We had studied the layers of the Rainforest, so I equated the Ocean to the layers found there. They were, of course, fascinated with the scary creatures of the Dark Zone. Our study encouraged research of ocean animals and caused my students to learn about animals that were different from the usual dolphin, crabs, and sharks! 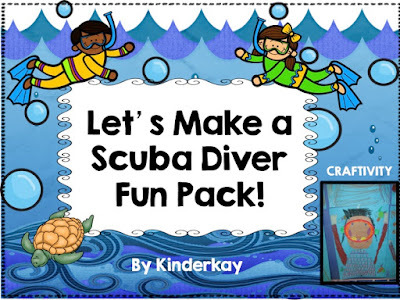 If you would like to do this project with your students, I have the resource in my store. Just click the image below to take you there! Here is hoping that most of you are either finished with school or the last day will be here soon! Labels: Beach + Ocean Art, freebies, Science.